This ritual book contains the complete Funeral Rites for Adults and for Children including: Vigils and Related Rites and Prayers; the Funeral Mass; the Funeral Liturgy outside of Mass; and the Committal. 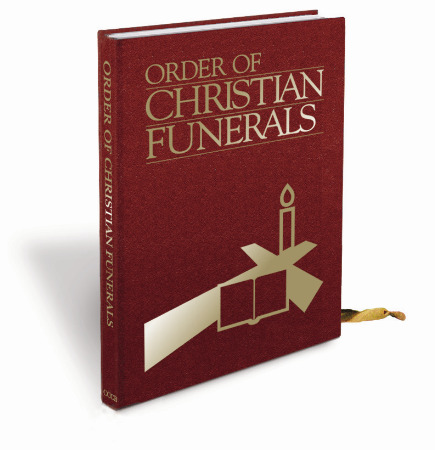 This newest version of the Order of Christian Funerals (Canadian edition) has been updated to include the revised texts from the Roman Missal, the NRSV texts of the Scriptures and new musical Psalm settings set to the NRSV Psalms (contained in the new Psalms for Sundays and Solemnities series). Each book also contains a separate laminated card with the "Short Rite of Committal" for use in inclement weather.